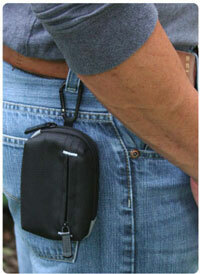 This convenient carrying case is perfect for your point-and-shoot camera, plus the case has a zippered pocket for other small items like additional memory cards. 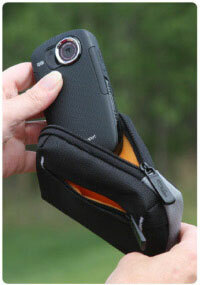 The soft-side design is padded to protect your camcorder when you’re out and about. 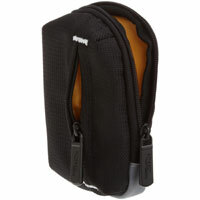 The case features durable dobby nylon exterior and bright orange nylon interior. 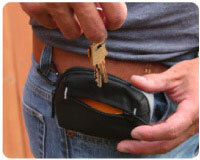 The zippered outside pocket is great for cash, change, keys, batteries, or memory cards. Use the carabiner clip or the belt loop strap to attach the case to your clothing or other equipment (instead of being stored in a bag or purse) and you’ll be able to get your camera out in a snap when a picture-worthy moment happens.